Safe and Natural Home Remedies For Happy, Healthy Pets! Essential oils and aromatherapy treatments have been used for thousands of years to treat a host of physical and emotional ailments, and their benefits arenâ€™t just limited to human use. Did you know that your beloved pooch or kitty can receive benefits from these heavenly-scented and healing compounds as well? Essential oils can be a wonderful addition to your petâ€™s wellbeing, as they are natural, organic, environmentally friendly, and 100% free from the nasty chemicals that may lurk in mainstream treatments to trigger horrible reactions in our beloved canine and feline friends. So, are you ready to change the way that you care for your pet, finally heal some of their nagging health problems and emotional challenges, be kinder to the earth PLUS save some dollars? 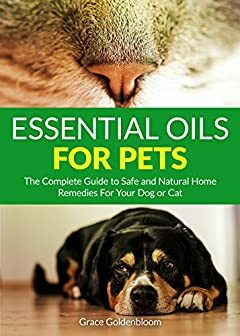 Download Essential Oils For Pets today; your cherished animal friends will thank you!